Just in case you missed the first one, no worries! Our second tourney is slated for Monday November 12th and will feature local mixologists from the Ditmars Strip! Stay tuned. 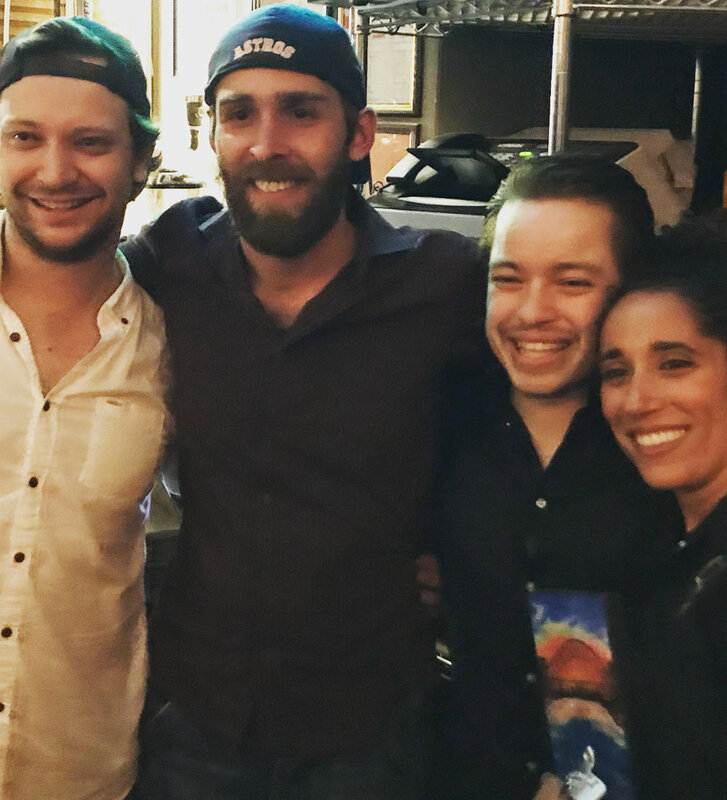 We hosted our first Thirsty Challenge last Monday night to showcase the great local mixology talent on the Ditmars strip. The contestants were John from Jack Jones, Antonia from The Queen’s Room, Stewart from The Pomeroy and Matt representing The Koala. The challenge was to make a cocktail using New Zealand’s VDKA 6100 and a uniquely Australian secret ingredient chosen by Chef Fuchs. She chose roasted wattle seed. She explained that it is mildly bitter with coffee notes. After blindly selecting the type of glass they would be using, the competitors had ten minutes to make an original cocktail that was judged on taste, creativity, use of the secret ingredient, use of the vodka, and presentation. Our judges were local mixologist Cody, local spirits connoisseur, Neil; Maria from Opici Wines, Chef Fuchs and Nicole from The Brass Owl. Opici Wines generously donated the vodka for the event and brought a bottle autographed by Robert DeNiro for the winner. There were raffles and bar themed prizes for the attendees from Inside Astoria. Our host was the talented and forever entertaining Jacklynn Hyde. Matt took the prize with a refreshing berry and thyme concoction that was finished with a brûlée of the wattle seed. Antonia of The Queen’s Room won the Fan Favorite with a yummy espresso and wattle seed martini. In addition to receiving the autographed bottle of VDKA 6100, the winner received the coveted Muddle of Honor. Many thanks to Maria from Opici Wines for securing that autographed bottle, to the competitors and their establishments, and to all of the locals who came out to support their favorite bar chefs. Cheers! Did you know that you can watch your favourite team at your favourite restaurant? Come catch all of the exciting matches through to the Final on July 15th. Don't miss Australia vs. Peru on Tuesday June 26, 2018 at 10 am!